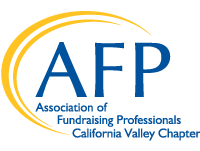 Creating a community of ethical, informed and connected fundraising professionals who drive positive impact here in California’s Central Valley is our chapter’s commitment as we focus on expanding and improving our critical work. We also welcome our new chapter administrator, LuAnn McCaslin. 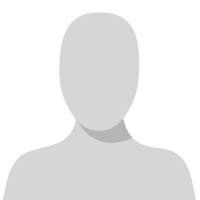 committees are only as good as its members…so we encourage you to join at least one committee. In an effort to enhance our monthly chapter meetings, in addition to our monthly speaker(s) and topics, we will spotlight one of our 2018 NPD Honorees at each meeting and present an Ethical Moment. Plus, all of our chapter meetings will qualify for CFRE continuing education credits for your own personal career advancement. The nomination process for National Philanthropy Day will be earlier this year. Think of which donors and volunteers to nominate for this year’s honors to make this year’s celebration more vibrant than ever! But plan early as our nominations deadline will be June 30. Our first chapter meeting will be “Women Impacting Women” and feature the work of PINC and CCWC on Tuesday, February 19 at noon at Pardini’s. Mark your calendars for all of this year’s programming. Please note this is program is longer than normal. After Hours Networking – Dates & Locations to follow. Congratulations to this year’s Chamberlain Scholar, Sara Frauenheim, who will be attending AFP ICON in San Antonio in March! This is Sara’s first AFP Conference. Watch for opportunities to apply for next year’s scholarship later this summer. There will also be a Diversity Scholarship available this fall. More information will follow in the coming months. We look forward to seeing you throughout 2019!